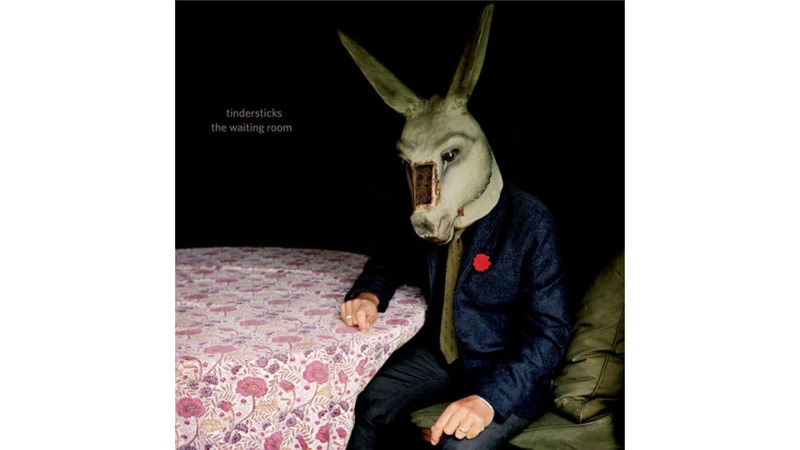 The best compliment ever paid Tindersticks is never having to see the words “’90s band” precede the group’s name. Even during that decade, the Nottingham outfit’s music felt somehow adrift in time—smoky, dignified, untethered to the era’s dominant styles. Quiet-LOUD-quiet? Tindersticks’ quiet was as sparse as the night, its loud moments funneling drama through piercing, orchestral cacophony (“Talk To Me,” “Don’t Look Down”). Between 1993 and 2003, the group, led by Stuart Staples’ inimitable baritone murmur, made a string of very-good-to-classic albums and just as quietly exited stage left. Then 2008 brought a new line-up (farewell, guitarist/string guy/occasional vocalist Dickon Hinchliffe) and new record, The Hungry Saw. Now, even the usual descriptors (“gloomy,” “orchestral,” “chamber-pop outfit”) feel inadequate, thrown into disarray by the band’s impressive penchant for reinvention. The music is not exactly joyous—this is a band that opened its fifth album with a track called “Dying Slowly” and its sixth with the couplet “My hands ‘round your throat / If I kill you now, they’ll never know”—but nor is it swathed in the weighty melancholy often associated with the band. “Were We Once Lovers?” and “Help Yourself,” with their jolting rhythms, inject some outright swagger into the Tindersticks sound. And “Hey Lucinda,” the obligatory duet number, is darkly funny; Stuart Staples exhorts the titular Lucinda (sung by the late Lhasa De Sela) to come out drinking, as she repeatedly rebuffs his advances with lines like “I only dance to remember / How dancing used to feel.” The song starts with no more than a hushed accordion and xylophone for accompaniment but builds to a crescendo of fluttering strings and steelpan drums. It’s made all the more poignant with the knowledge of De Sela’s death from cancer in 2010, shortly after the track was recorded (it was set aside for some years). Staples recently turned 50, and whether or not he still goes out drinking and dancing, The Waiting Room has that sense of remembrance, forgetting, approaching loss. The title track seems to describe a wait for an execution; “Were We Once Lovers?”, Staples has said, is about “forgotten intimacy” and “how memory defines you.” On the final track, “Like Only Lovers Can,” he sounds more settled, though full of uncertainty: “Where do we hide,” he asks, over a searching keyboard line, and “Where do we cry / Now that our meeting place is gone?” The album is full of this uprooting, this sense of comfort abandoned. It’s what makes this band essential still decades past its debut.